A desire to show historic preservation and archeology in a positive light rather than being thought of as an obstacle to stop economic development is a primary reason Brian Gatzke joined the board of directors of the South Dakota Historical Society Foundation. Gatzke is a certified general appraiser and owner of Northern Plains Appraisal, LLC., Gatzke Family Enterprises, LLC a real estate development company, and Sixth Street Centre & Condominiums, LLC a mixed use development property designed into the neighborhood, all located in Brookings. He and his wife, Carla, have brought several smaller real estate properties in Brookings and transformed then into viable properties with remodeling to fit the neighborhood. His future plans are to further encourage development to improve the downtown historical district in Brookings and encouraging others to invest in downtown. Gatzke joined the Board of Directors of the South Dakota Historical Society Foundation in 2014. He was raised on a family farming/livestock operation and remains involved in farming. His father has been a conservation no-tillage farmer since the late 1970's in Spink County. "I have always been taught to try new ideas, to treat the land better than when it is received, and to always maintain a balance with conservation and nature," Gatzke said. He received his Associates of Science Agriculture degree from Northeast Community College, Norfolk, NE; a double major of Bachelor Degrees in Agriculture Business and in Commercial Economics from South Dakota State University, Brookings. He has a Master's Degree in Business Administration from Drake University in Des Moines, IA. Gatzke was employed for 20 years by Daktronics, Inc. in Brookings, focusing on sales and marketing management of niche developments. He left Daktronics to train as an appraiser, and currently is a certified general and accredited ARA appraiser, licensed in both South Dakota and Minnesota. He also belongs to the Rotary International Club of Brookings, the Brookings Chamber of Commerce, Brookings Economic Development and St Thomas Moore Catholic Church. 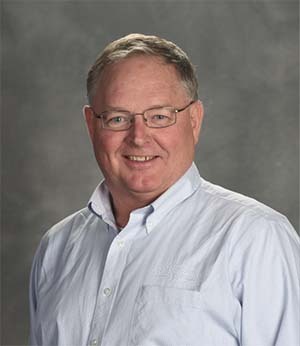 He has taught introductory classes for real estate appraisal at South Dakota State University and remains active with the American Society of Farm Managers and Rural Appraisers and The Appraisal Institute in both local and federal support. "We believe in giving back to the community with the support they have given us," Gatzke said. The Gatzkes have two children. They all enjoy their friends and family.